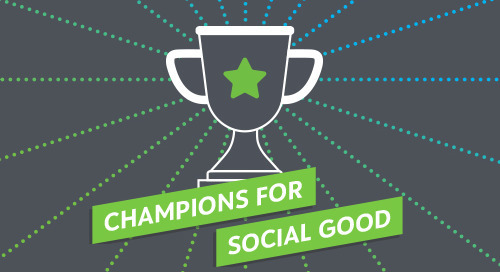 In this episode of the Champions for Social Good Podcast, Jamie Serino speaks with Mark Monchek (@MarkMonchek), Chief Opportunity Officer at Opportunity Lab (@OppLab), about Opportunity Lab’s approach to empowering conscious leaders to make a difference in the world. Mark talks about how companies are increasingly acknowledging the role they have to play as global citizens, why measuring their impact is important, and what immigration and a house fire taught him about how purpose-driven organizations can network to achieve more. Mark also discusses his work helping a financial firm holistically recover after 9-11 and how that transformed his understanding of the “success DNA” of organizations – an experience that continues to guide his work with organizations today.